Dutchie, my dive buddy, has a preference to see big marine species. Meanwhile, I am more into nudibranch and tiny marine species. Sometimes it is a bit hard to combine our preferences in one diving holiday trip, but Malapascua and Panglao (the Philippines) offer both likings. Malapascua is an island that located in the Visayan Sea, Cebu Province. Its dive site, Monad Shoal, is famous for the sightseeing of an endangered shark species, thresher shark. It is guaranteed to see them when diving in Monad Shoal. Indeed, we saw three thresher sharks, quite close during our dive. But scuba divers should start early in the morning, I meant early here, be ready to wake up at 5 am in the morning for the thresher sharks dive. And it is a deep diving (around 25 to 30 meter deep). 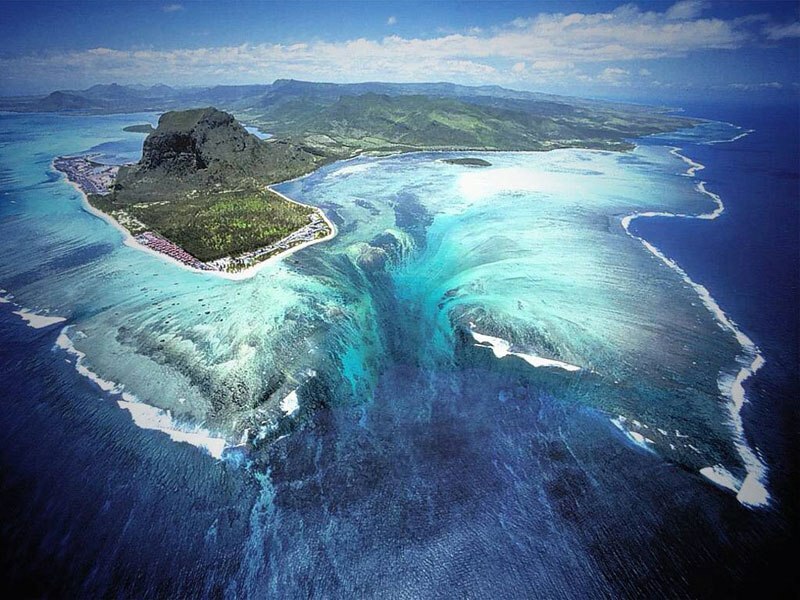 It is best to have at least advance open water license to dive in this dive site. Other dive sites in Malapascua are also interesting, we saw lots of nudibranchs, mantis, scorpion fish, and cuttlefish. We also did night dives and we saw so many seahorses! It was amazing to see them that many at night. I was wondering where did they hide during the day. Gato Island is certainly an interesting place for the diving. It is about 45 minutes from Malapascua. There are plenty of reef-sharks and nurse sharks to observe and tunnels to visit. Overall, Malapascua diving is a combination of observing the big marine species and the tiny ones. The island itself is very pretty. It is a small island with white sandy beach where hotels and restaurants stripped along the coast. It is so sad to see what had happened to the island after the attacks of Typhoon Yolanda/Haiyan in November 2013. I hope by now the island and its corals are recovered. We stayed at Malapascua Legend Resort and our dive centre, Sea Quest was attached to the resort. Friendly staff and diving crew. The resort had huge room that was enough space to store our diving gear. The breakfast was not spectacular, it was okay, but I’d prefer not to order any food from their kitchen. Ristorante Angelina was perhaps the best restaurant in the island, its pasta is certainly their best menu. Panglao is a bit different than the Malapascua island. Malapascua Island is relatively laid-back place at night and you can’t help to notice that majority visitors are scuba-divers. In Panglao, the visitors are a mix; and the island is always busy at night. The beach area turns into restaurants and bars at night. The diving in Panglao was a bit similar with Malapascua, except without thresher sharks and seahorses. We did a mandarin dive in Pangao’s house reef, which was a total failure because of two other scuba divers kept monopolizing the area to view the mandarin fish. It could be also the reef where the mandarin fish lives were too small for four scuba divers. Anyway, other than that, the night dive after the mandarin dive was very interesting. We saw huge nudibranch and puff fish. Balicasag island – about 30 minutes boat ride from Panglao’s Alona Beach – was a must dive site to visit when in Panglao. It offered wall diving with beautiful and colorful corals. We stayed at Oasis Resort, a small resort with a garden theme and had direct access to the beach. I like the resort a lot, the food and their breakfast is pretty good. Some of the guests are long-term staying guests from Europe. We met a Dutch couple who stayed in the resort around three to six months (almost) every year, enjoying their retirement. What a life! During our stay, we also used the service of Sea Quest Dive Center which attached to the resort. When you were in Cebu, do try their dessert called Halo-halo, it is sesame ice cream with fruits and much sweet stuff, the looks is ridiculous but it is very refreshing. And of course, you should not miss the Philippines famous fresh mango juice! Delicious! Our trip was arranged by Dutch travel agent that specialized on a diving trip. Therefore we did not have to arrange any transportation to our hotels in Malapascua and Panglao as the travel agent arranged it nicely with private cars and so on. However, I can explain a bit how to reach Malapascua island and Panglao Island without the help of travel agent. First (and obviously), you have to fly to Mactan-Cebu International Airport, the Cebu city. 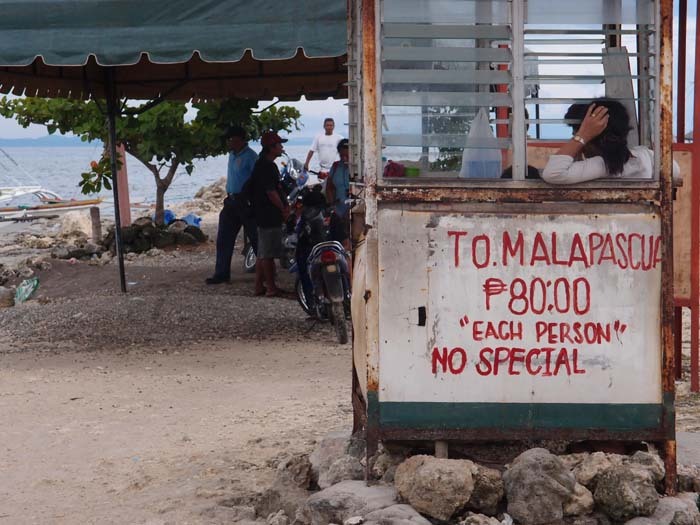 To reach Malapascua from Cebu, take a taxi or bus to Maya-Malapascua Port (the north area of Cebu where you can take a boat to Malapascua). The trip by taxi or bus is about 2 hours to 4 hours (depends on the traffic, bus passengers, etc). Then from Maya, you can take a public boat to Malapascua with duration of around 20 to 30 minutes. If you have booked the hotel/dive resort in Malapascua, you can also ask the hotel/dive resort to pick you up at Maya Port. To reach Panglao from Cebu, take a taxi or bus to Ferry Terminal in Cebu. It is port to take the ferry to Tagbilaran City, Bohol Island. We had Ocean Jet and it departs from Pier 1. Just make sure which pier the ferry will depart as they have several ship companies and each company has a different pier for departures. It takes 1.5 hours to reach Tagbilaran city in Bohol Island. 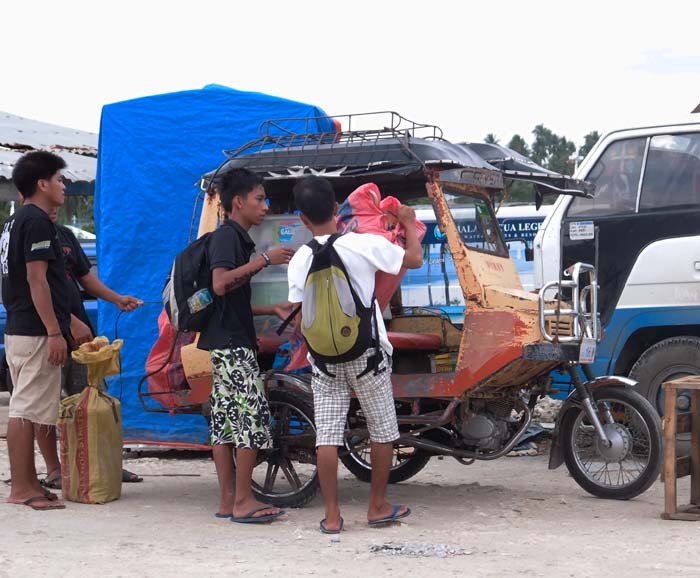 As you arrive in Tagbilaran, you can take taxi or tricycle (sort of tuk-tuk) to reach Panglao Island. Bohol and Panglao are connected through bridges. Nice pictures of some beautiful fish! My dad use to have an fishtank with tropical fish. Though they were sweet water fish.